The Middosman series is an exciting and fun way to introduce young children to the concepts of middos and Torah values. Using warm, relatable characters; easy-to-understand stories that will capture your child’s interest; rich and full-color illustrations (laminated pages, too! 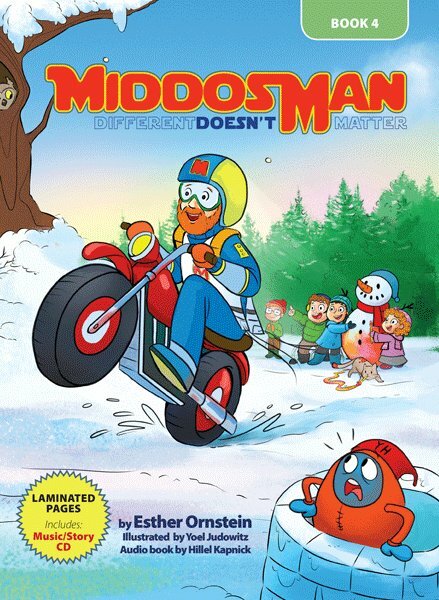 ); and an accompanying read-along/sing-along musical CD, MiddosMan has all the components needed to teach real-life, practical middos lessons to young children. In MiddosMan—Different Doesn't Matter, the fourth book in this series, children are taught to love every Jew even if they are different. Sure to become a fast favorite among kids!